As secret and unaccountable US and British drone strikes continue in remote corners of the globe, closer to home (but firmly behind closed doors), the drone industry continues to research and develop a drone-filled future. Over the past couple of weeks, protesters in the UK and the US have gathered to turn the spotlight on the increasingly secret use and development of armed drones. 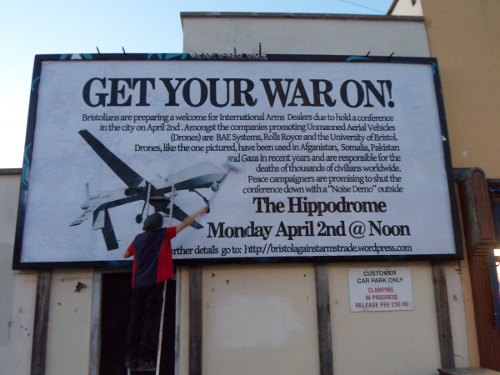 In Bristol, at the beginning of April, the great and good of the drone industry came together at the Annual International UAV Conference to be met with a good-natured, noisy protest. Meanwhile, across the Atlantic at the Creech Air Force base, members of the faith-based group Nevada Desert Experience delivered an ‘Indictment for the Violation of Human Rights’ to the commander of the base. At each demonstration protesters were arrested and jailed. However it is Yemeni journalist Abdulelah Haider Shaye who is suffering the most for exposing the drone wars. In 2010 Shaye revealed that an airstrike that took place in al Majala, Yemen in December 2009 killing 14 women and 21 children was launched by US drones, not the Yemeni air force, thus embarrassing both the Yemeni and US authorities. Later, Shaye also interviewed AQAP leaders including Anwar Al-Awlaki challenging them about their methods. In August 2010, Shaye was kidnapped from his house by Yemeni security forces and disappeared for a month. He turned up in detention after being beaten and was sentenced to five years imprisonment for associating with terrorists. 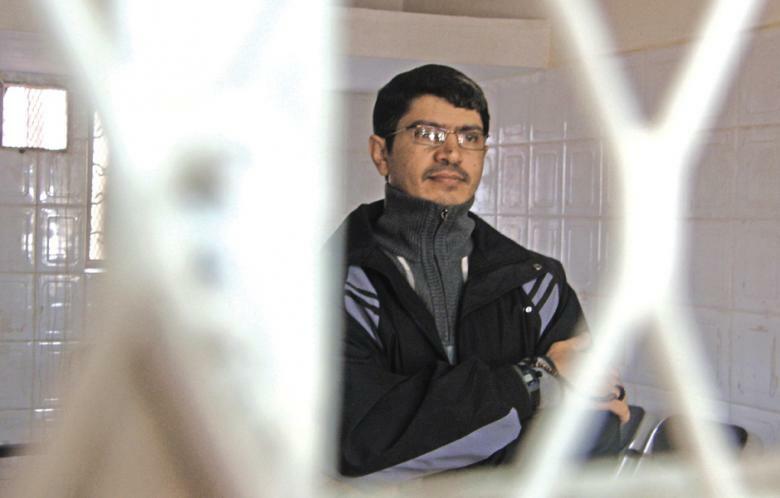 Amnesty International and other human rights groups have campaigned for his release, and it looked as though in February 2012 he was about to be freed. However a few days before Ali Abdullah Saleh, was forced to about to step down as President, Obama called him to “express concern” at the news that Shaye was about to be pardoned. Shaye release was immediately halted and he remains in prison. For more on this case see detailed report by Jeremy Scahill and this excellent film byAl Jazzera. Exposing the rise of the drone wars is increasingly becoming the task of our times. But it can be a risky business.